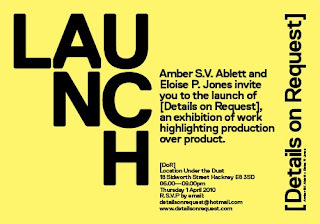 Amber S. V. Ablett and Eloise P. Jones would like to invite you to the launch exhibition of [Details on Request] on Thursday the 1st April 2010 from 6-9pm. and an introductory installation by [DoR]. Using a variety of different art forms, including performance, sculpture, video and drawing, these artists all create work that places emphasis on their own production. 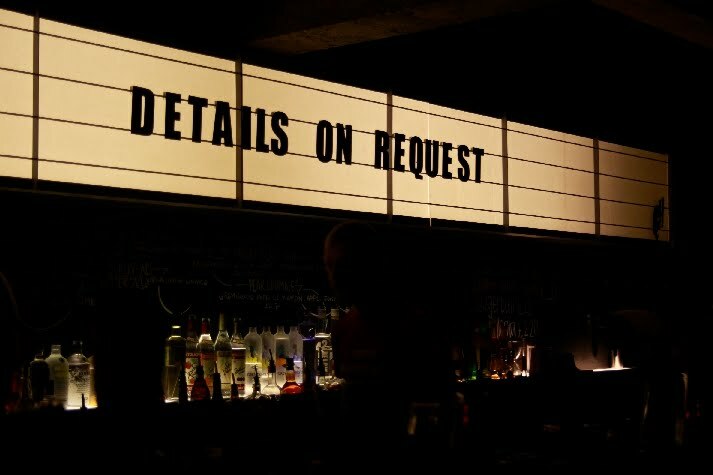 Following the exhibition please join us for the [DoR] Afterparty for music and drinks, from 9-12pm. CAN'T WAIT TO SEE YOU THERE!!! !